Helen Naha created distinctive pottery using the white kaolin clay slip throughout her career. The designs were all painted using bee-weed (black) and natural clay slips. 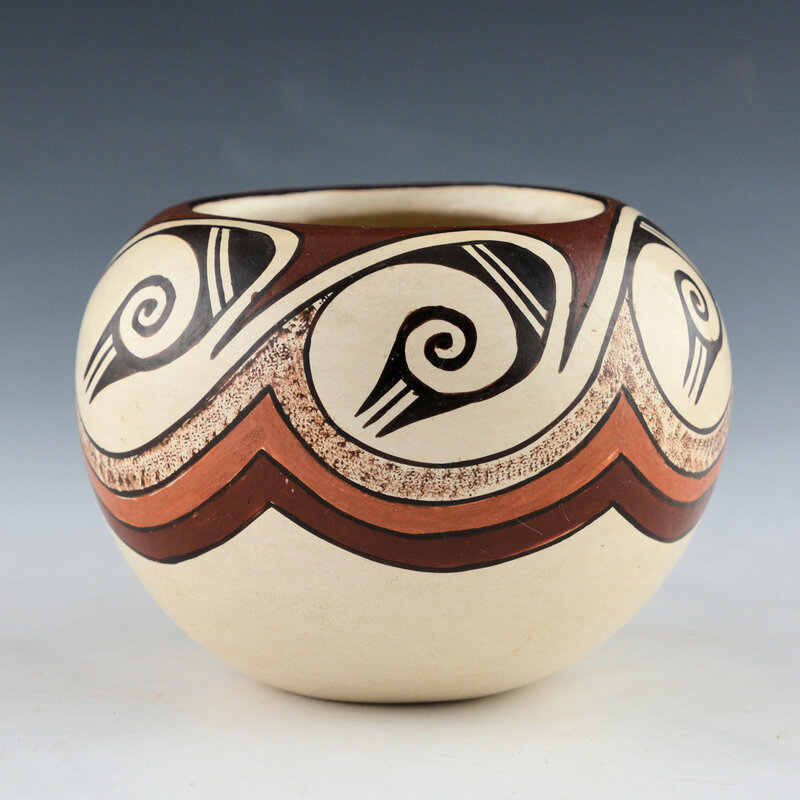 She learned to make pottery from her mother-in-law, Paqua Naha yet had her own style in form, imagery, and composition. This bowl was originally purchased in 1978. 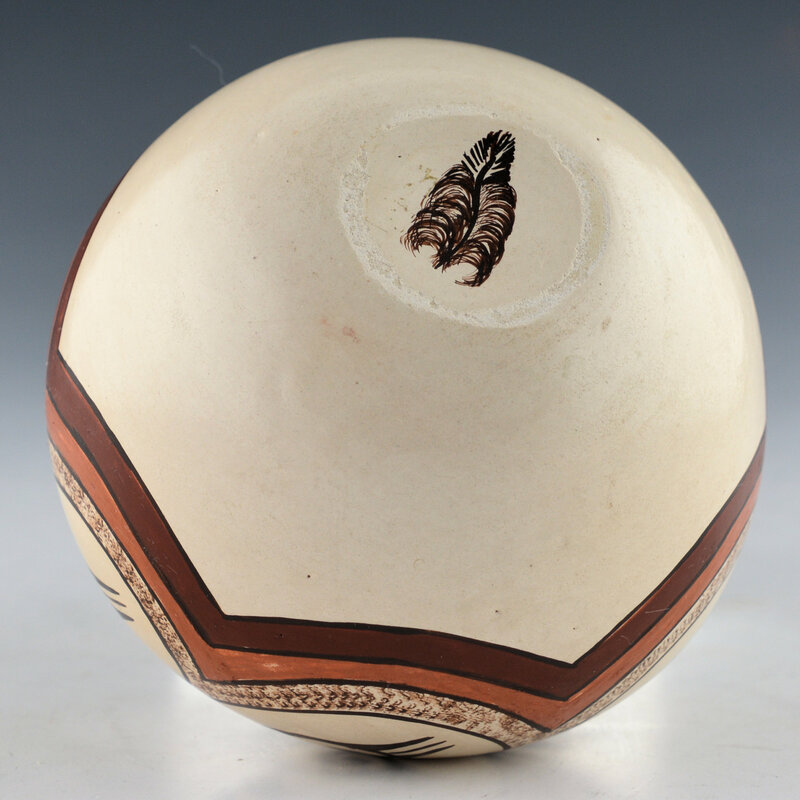 It is painted with a cloud pattern around the body of the piece. Above the clouds and rain is a red clay slip and below are additional colors. 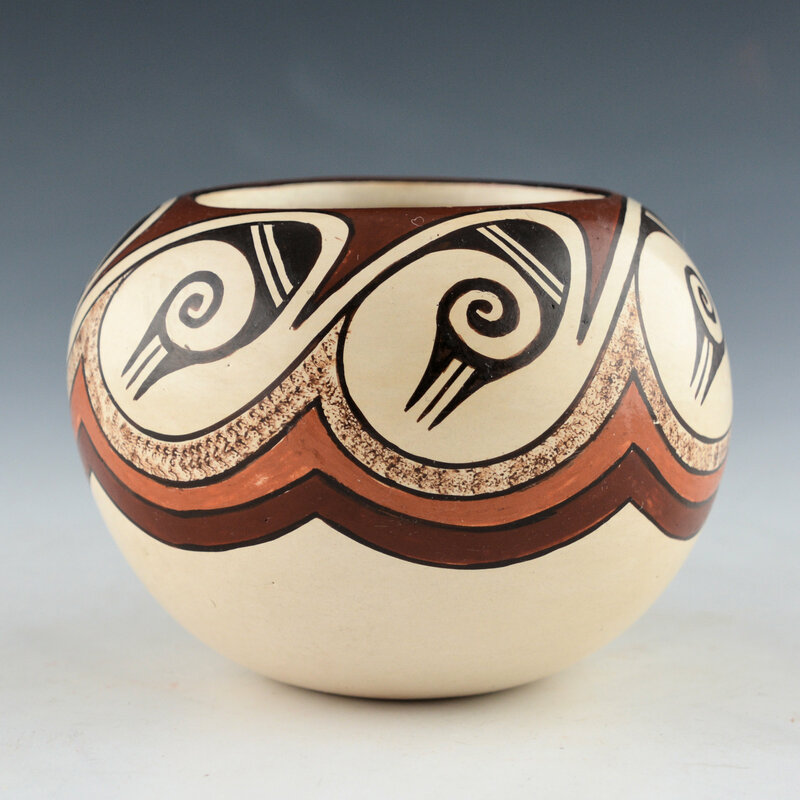 There is a separate band of “stippled” black, which adds another “color” to the bowl. As with much of Helen’s pottery, the inside is fully polished. 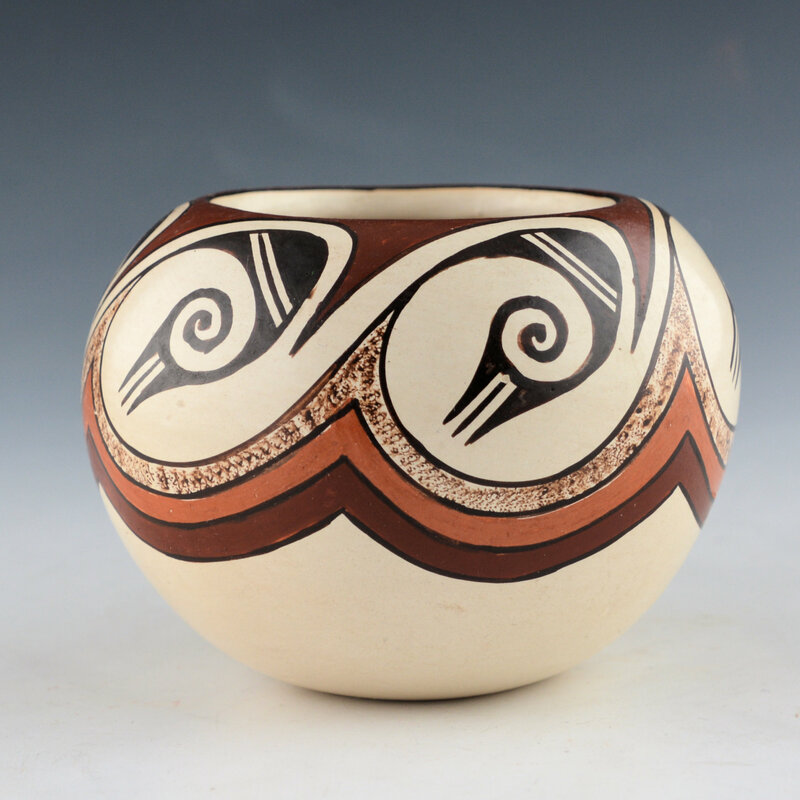 She would try to make the mouth of the vessel large enough so she could get her hand inside to polished the inside. The bottom has her hallmark “feather”. It is in excellent condition with no chips, cracks, restoration or repair.